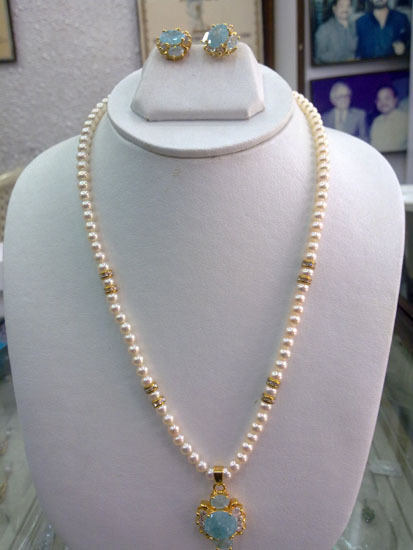 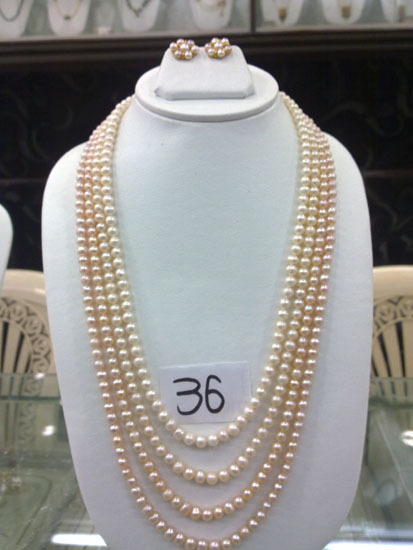 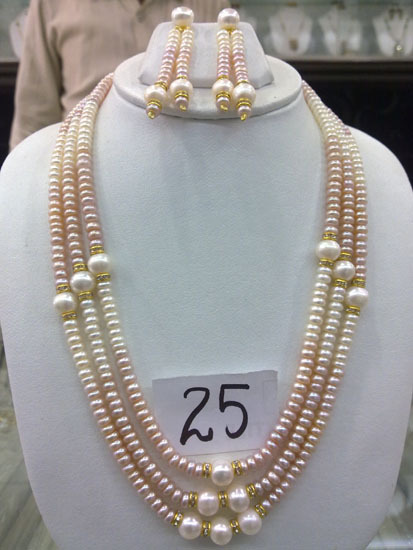 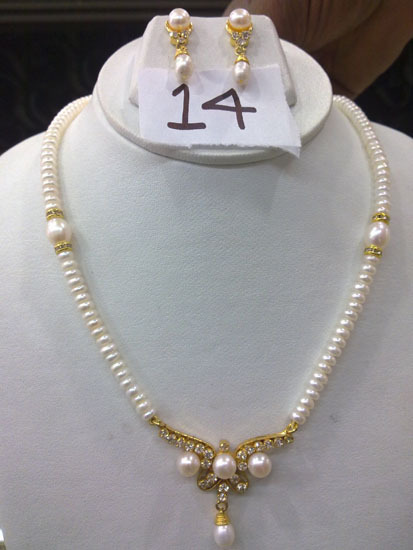 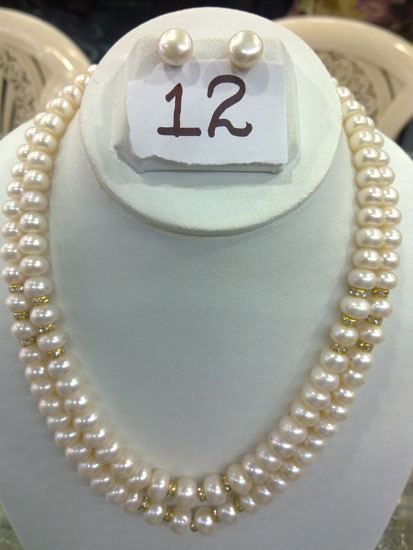 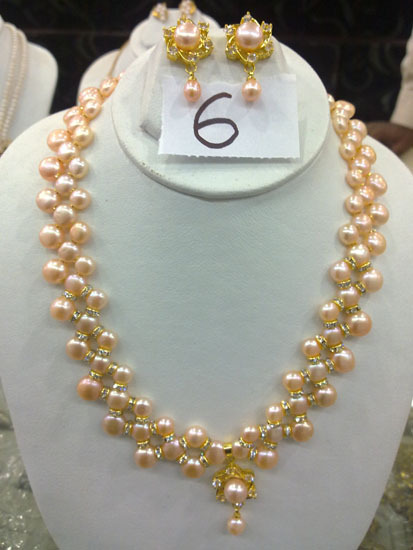 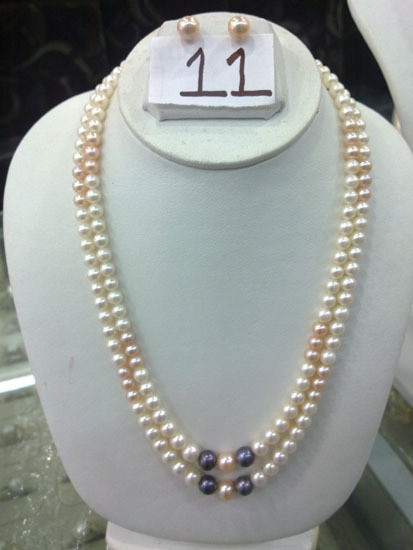 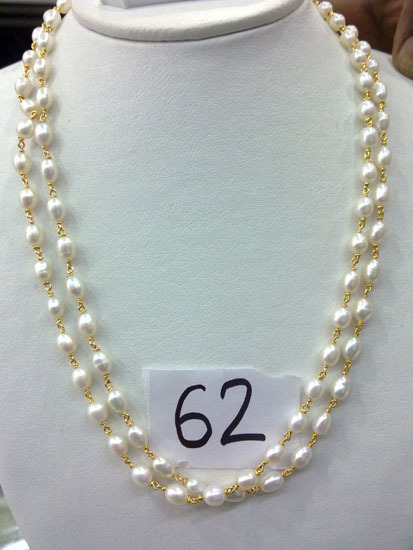 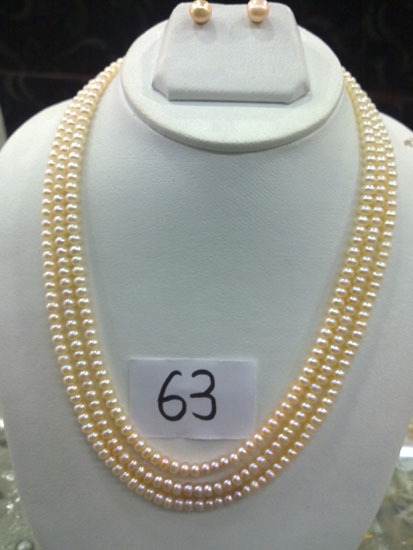 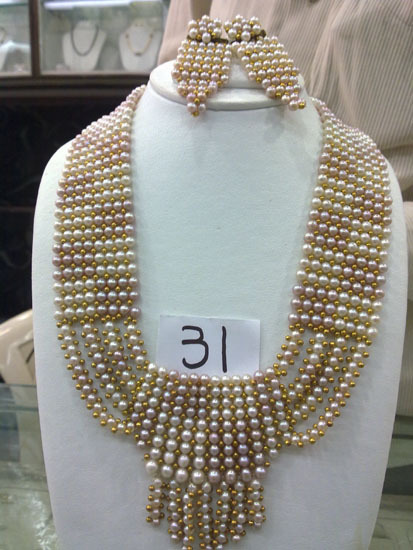 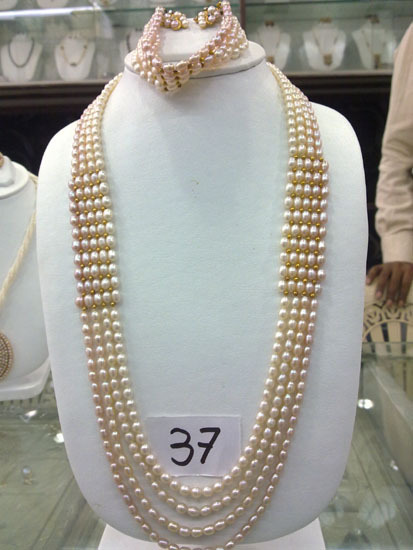 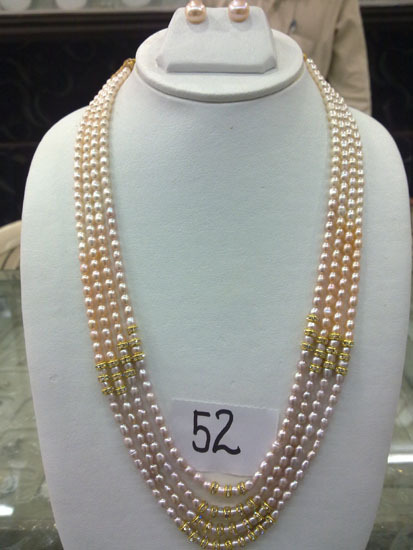 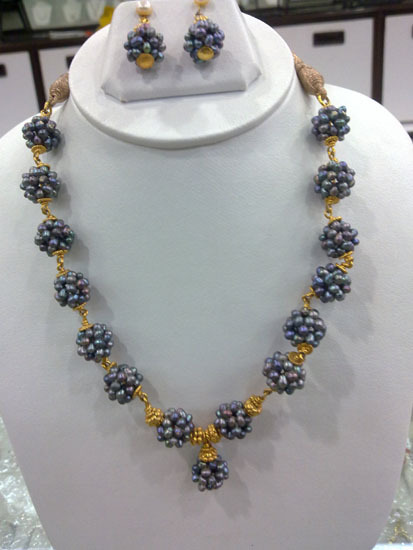 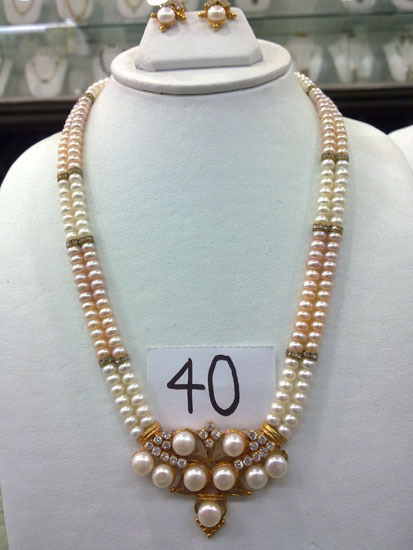 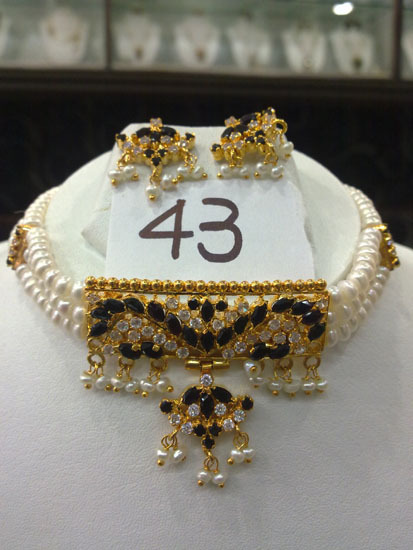 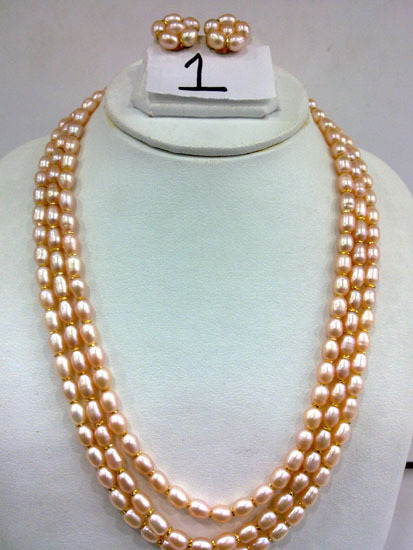 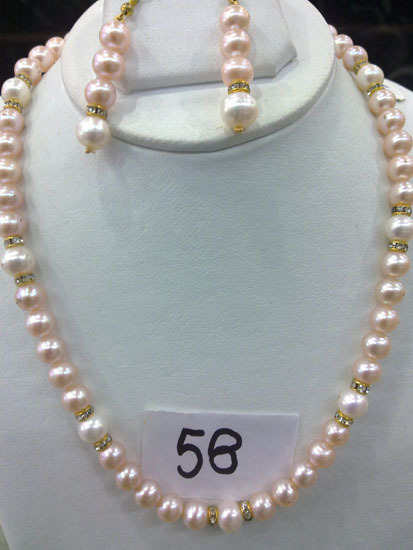 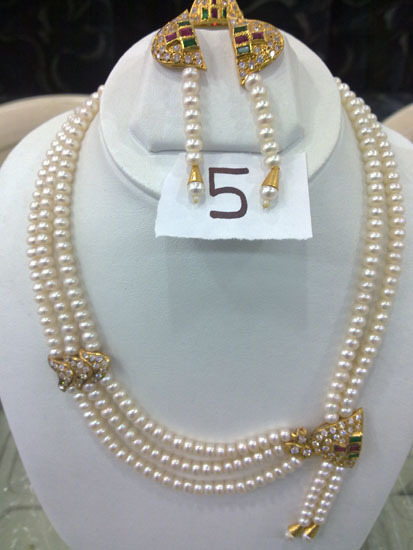 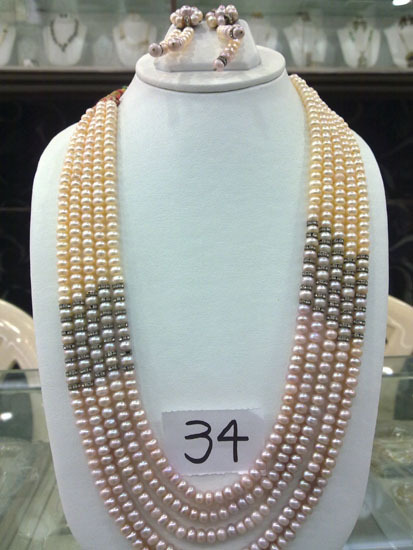 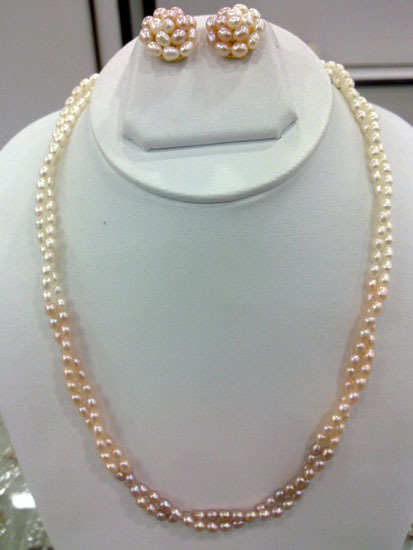 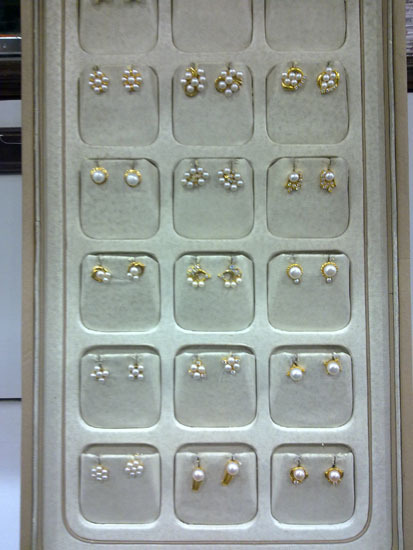 This elegantlly crafted Pearl Set is a fine harmony of Cultured pearls gold & Diamonds. 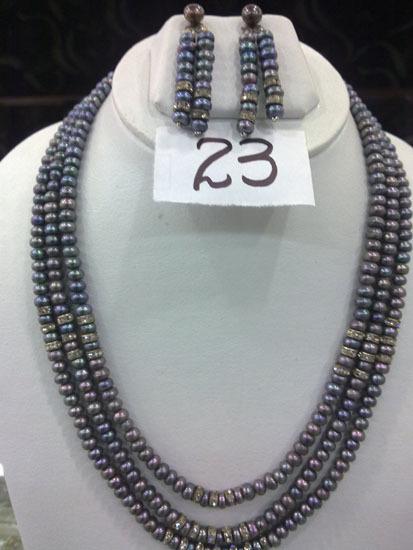 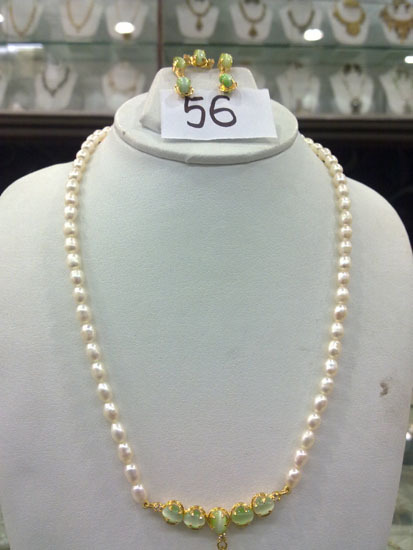 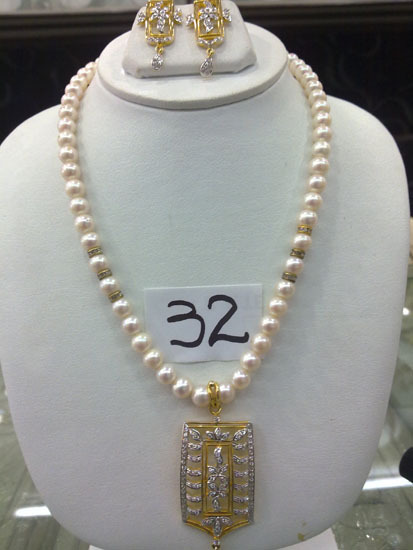 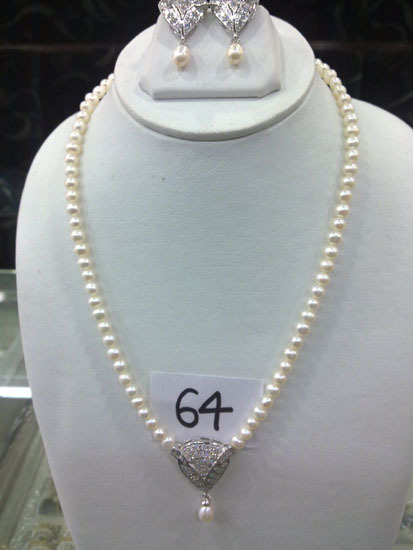 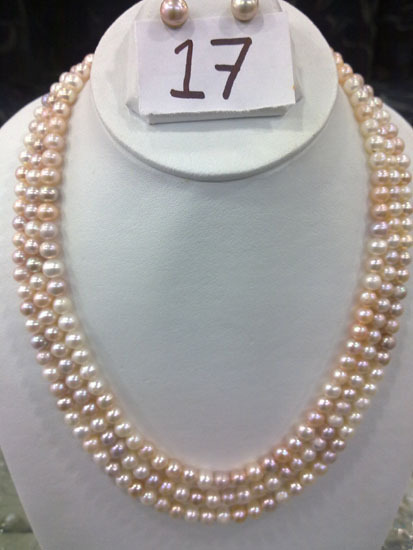 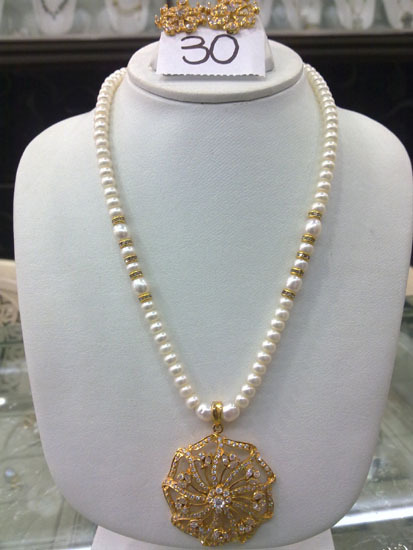 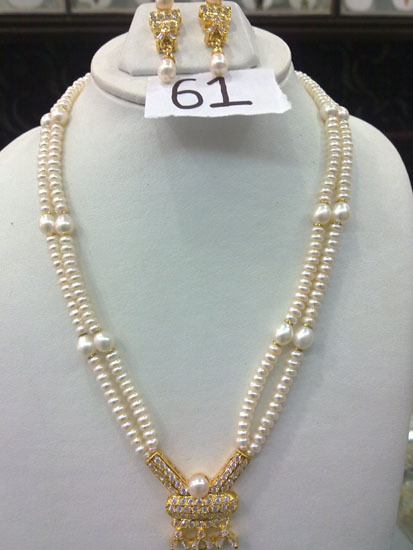 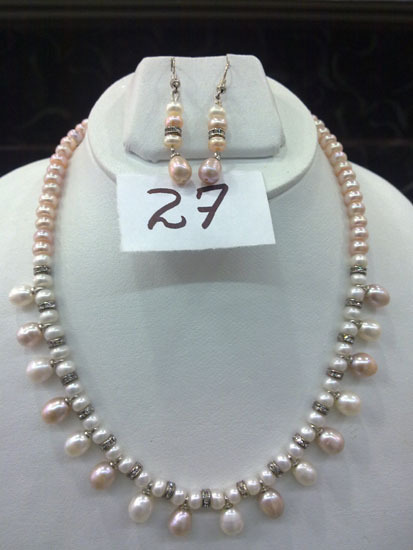 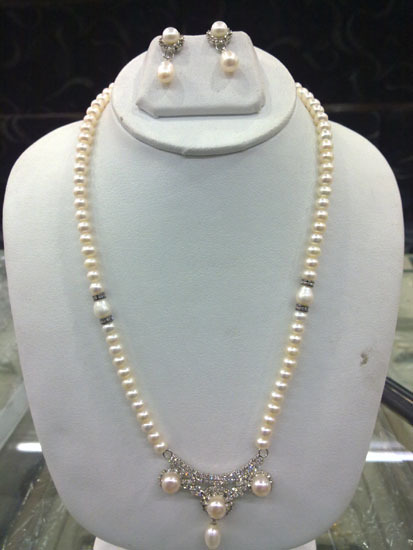 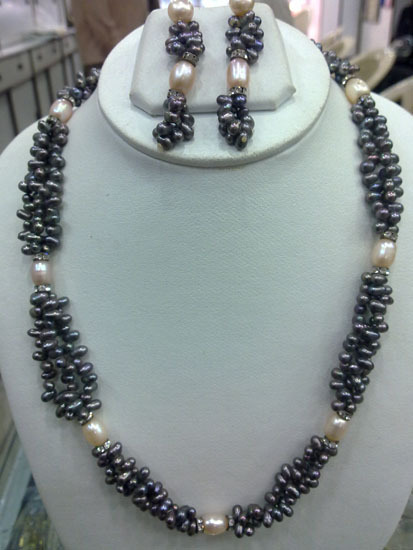 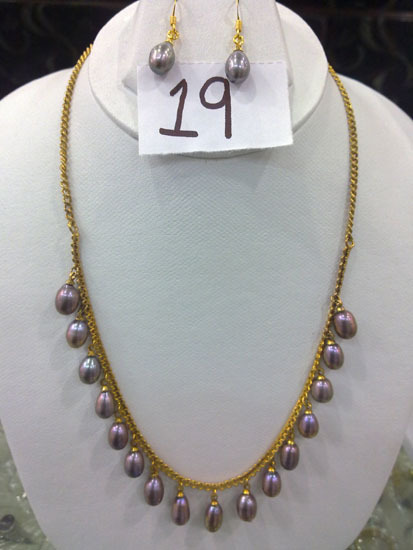 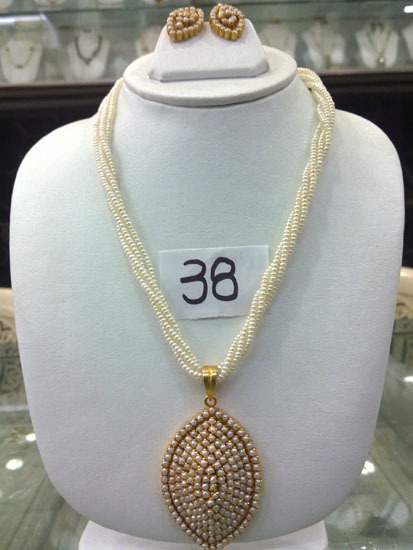 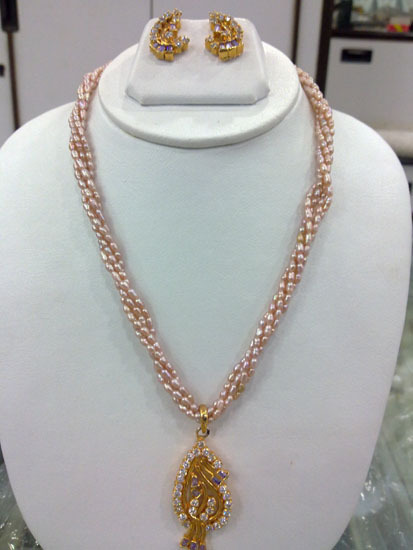 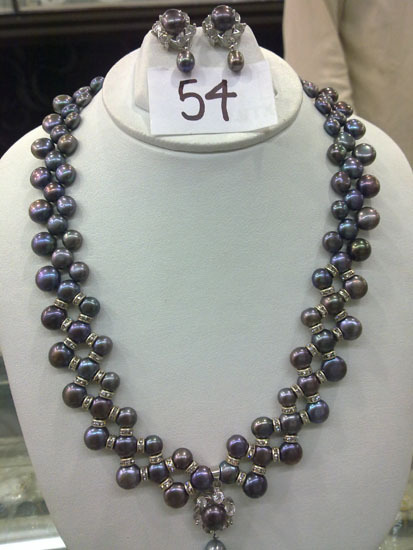 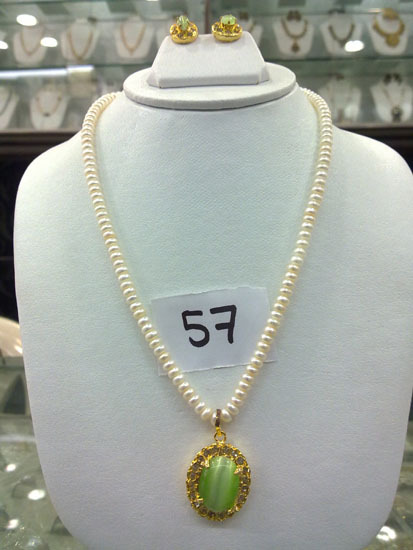 This pearl set with a Pendant will make admirers take a deep breath. 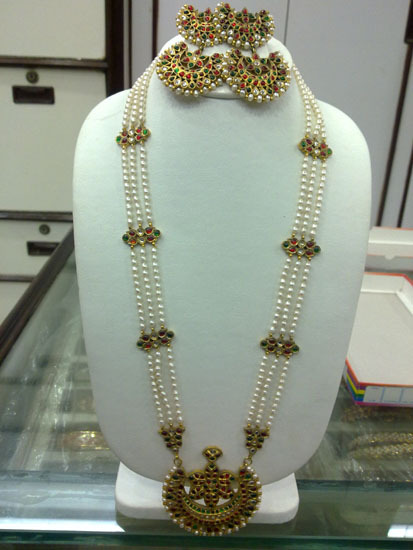 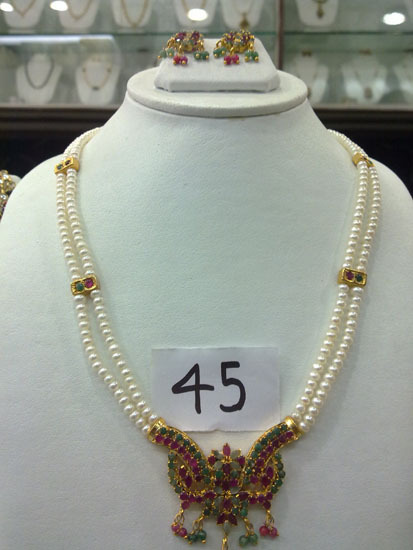 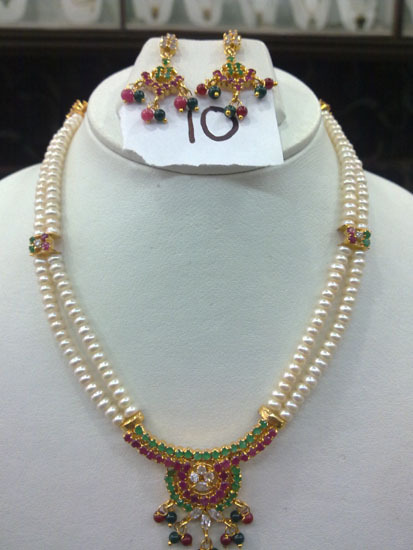 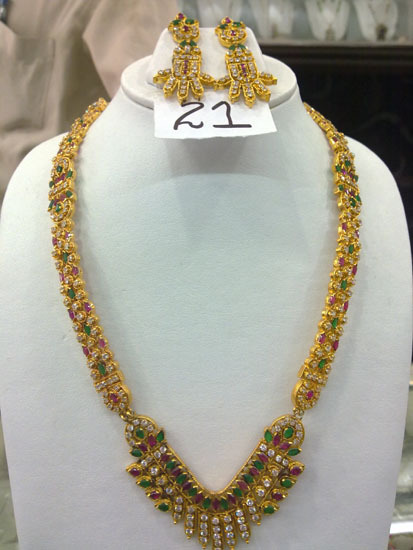 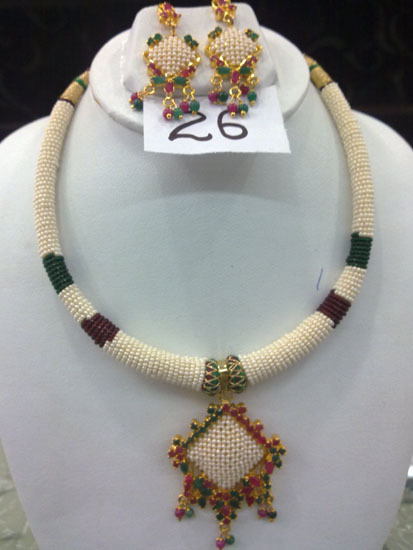 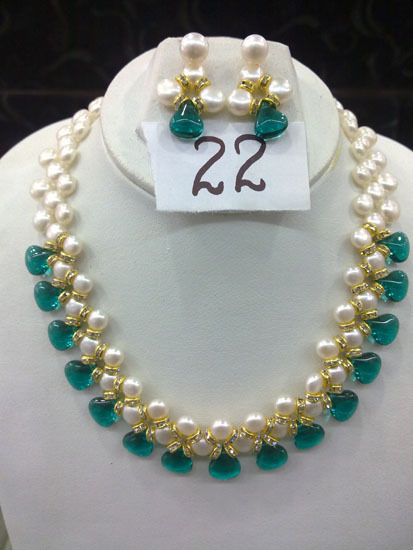 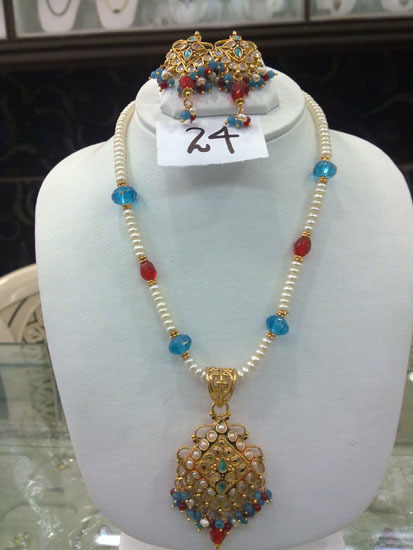 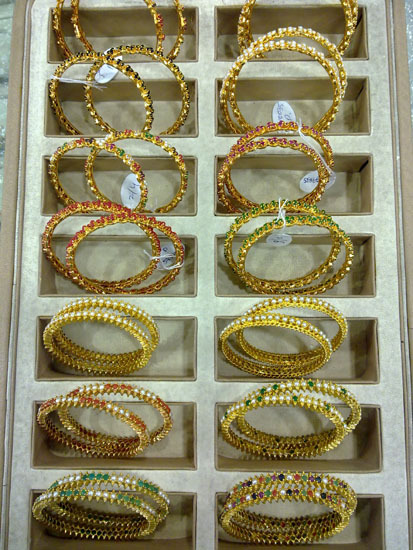 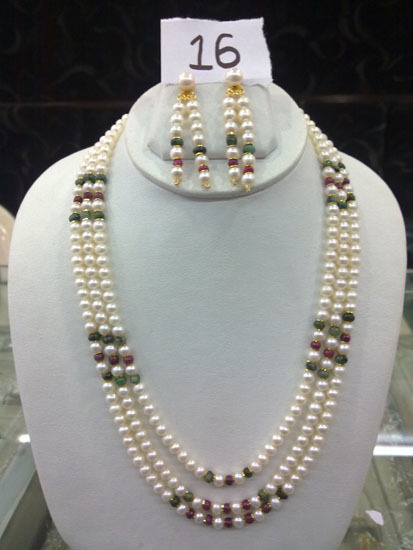 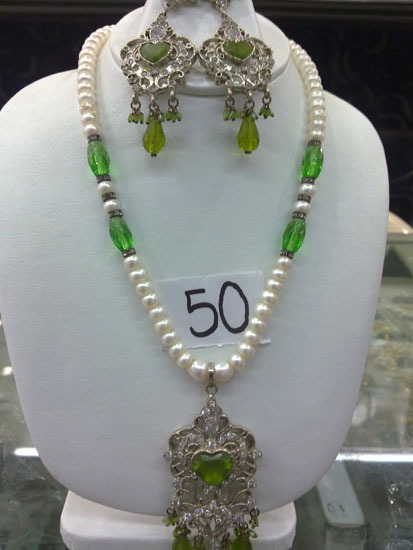 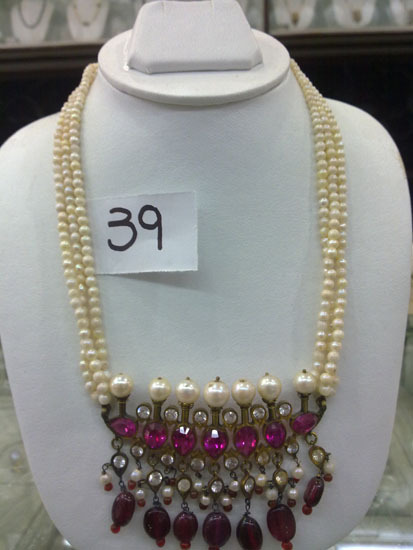 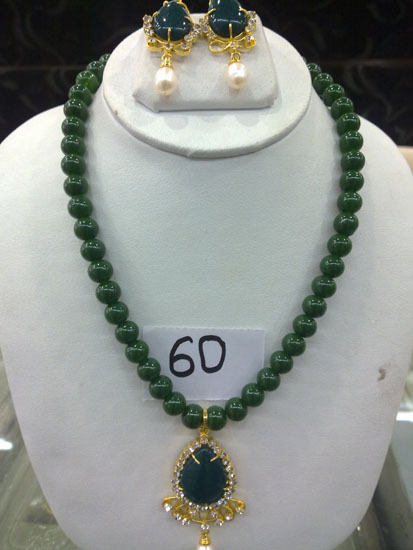 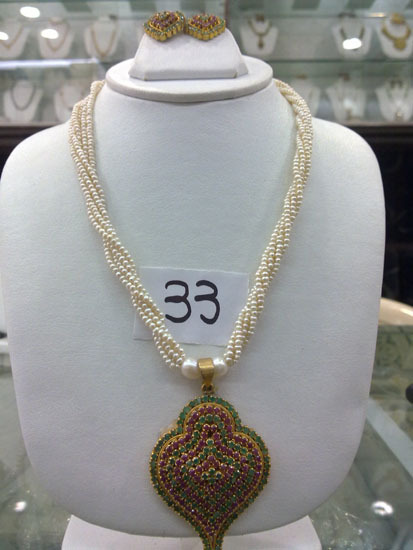 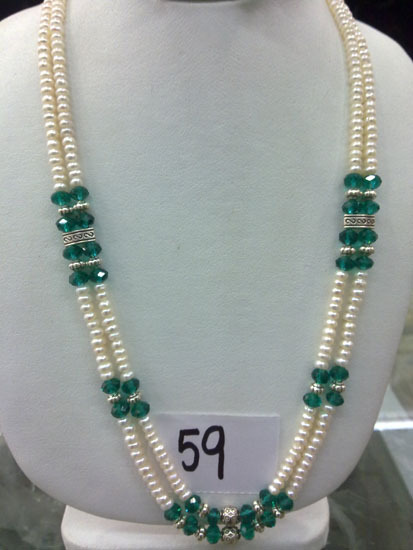 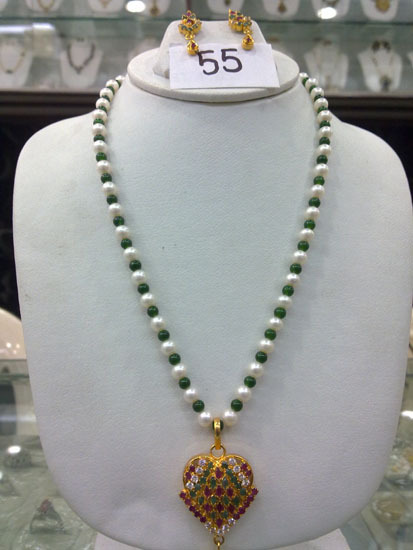 This design � A slight variation of the typical Hyderabad style is made of Natural Pearls, Emeralds, Diamonds and Rubies. 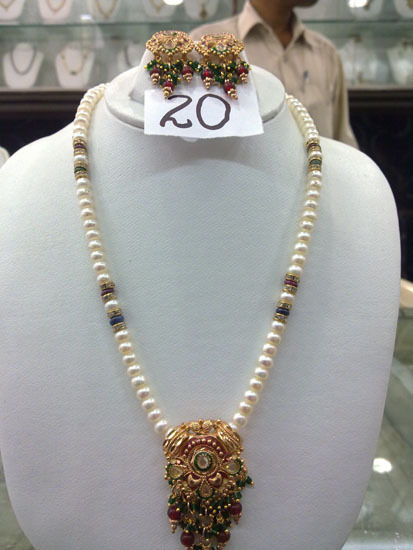 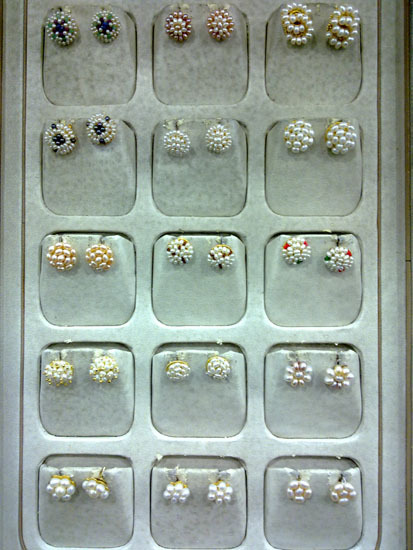 The Kundan Ranihar, Jewellery crafted with Natural pearls and nine Precious gems,and enamel Kundan work is one of the Typical Hyderabad designs. 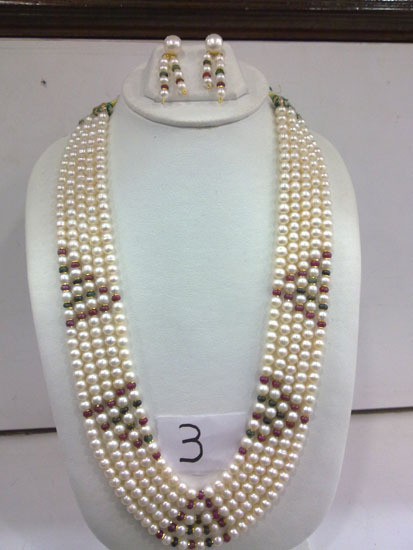 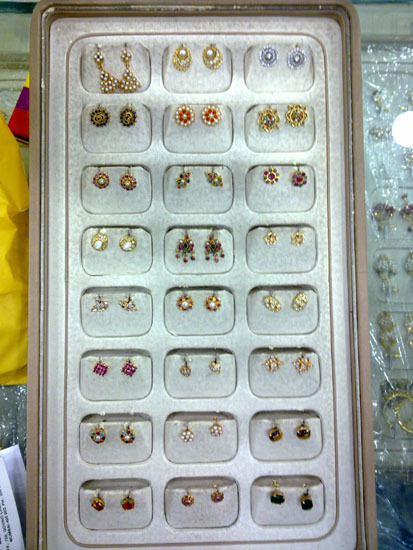 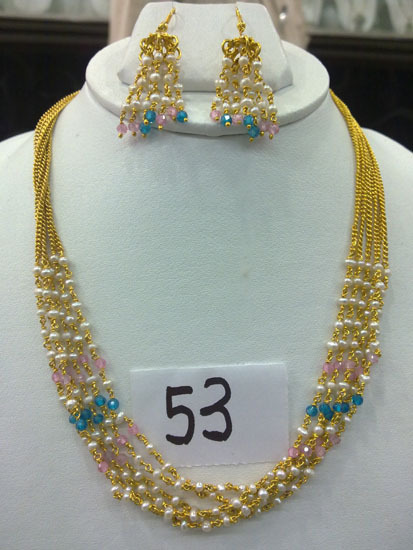 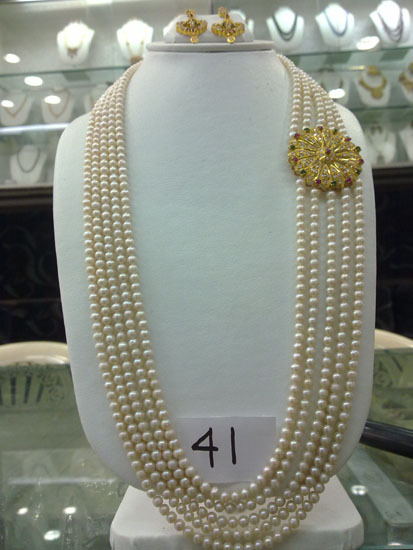 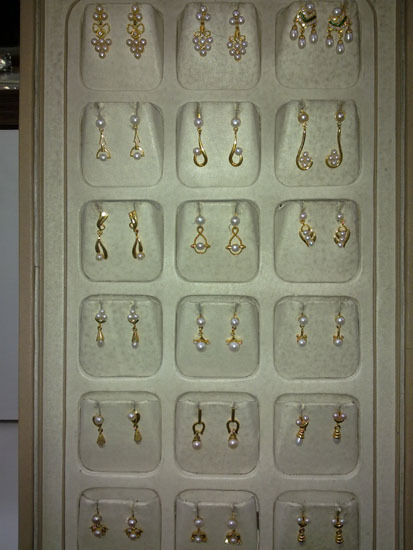 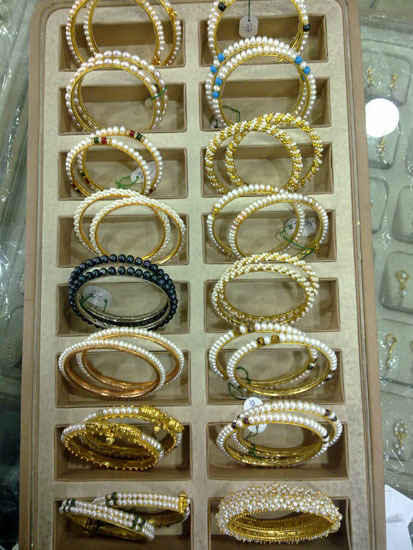 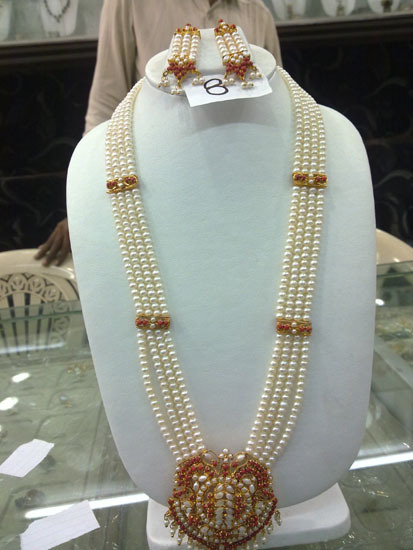 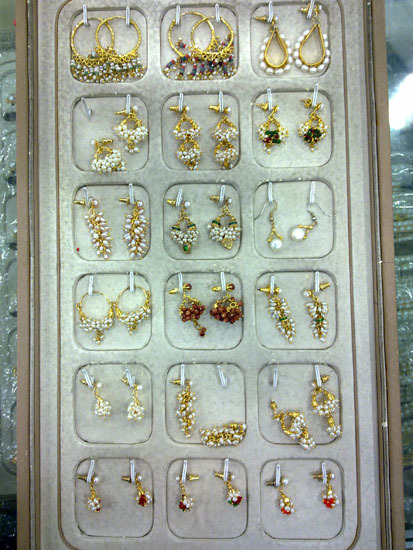 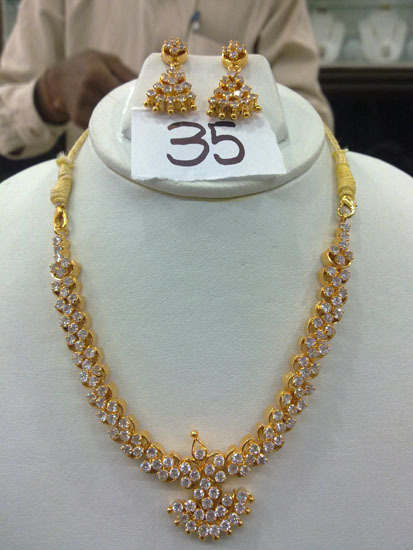 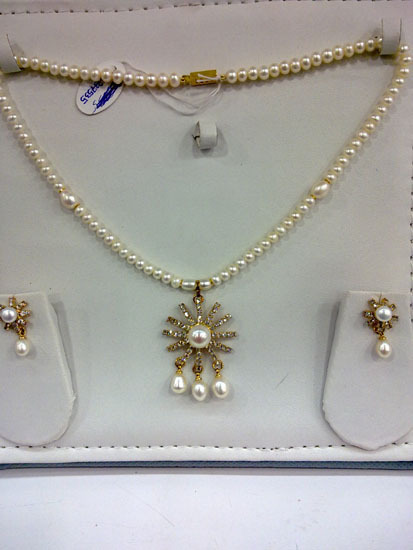 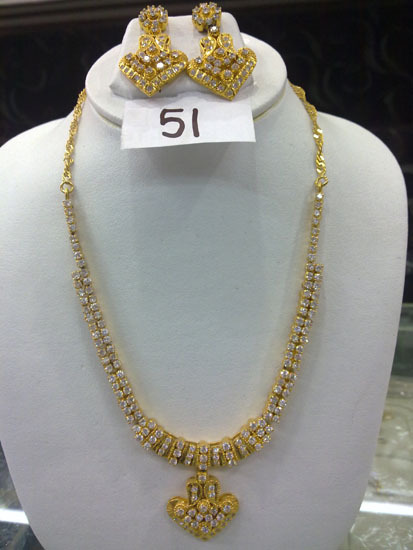 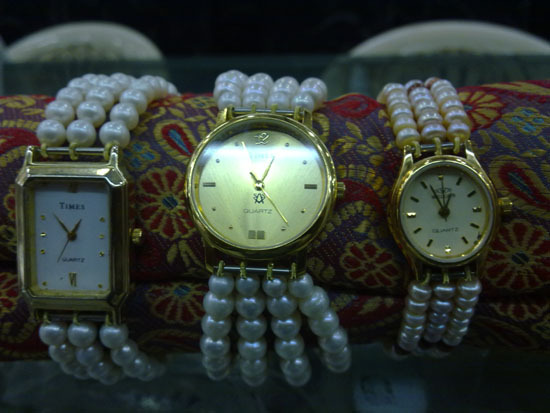 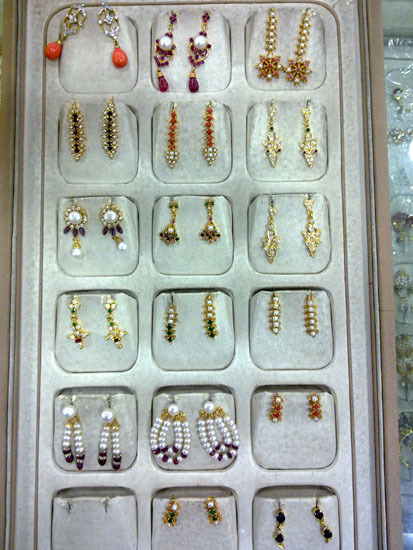 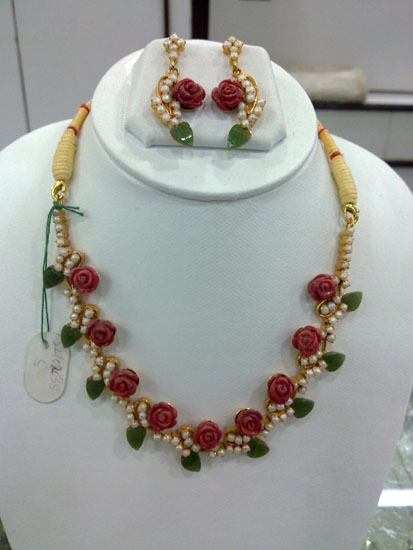 This jewellery set makes Pearls & gold beeds heighten the beauty of the Jewellery. 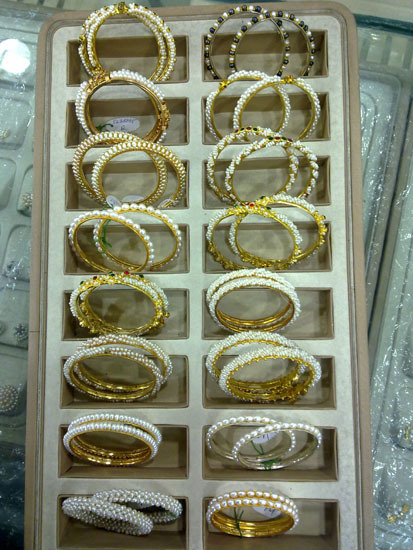 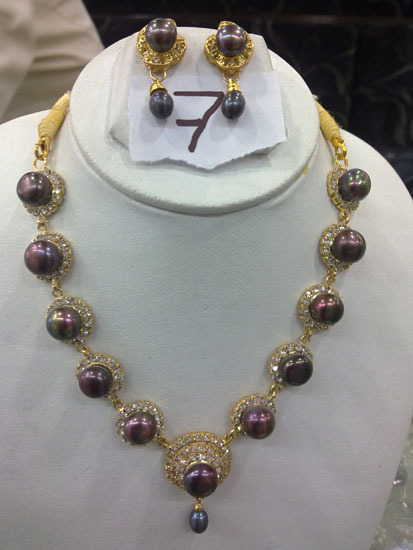 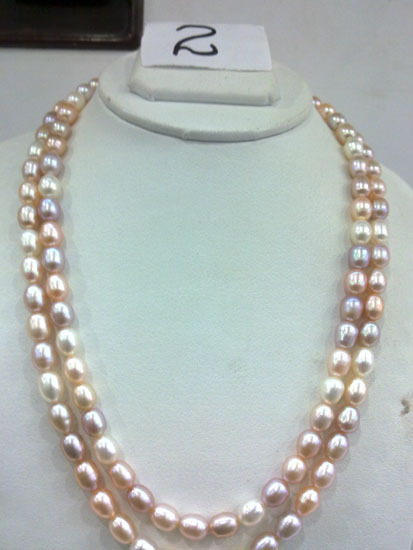 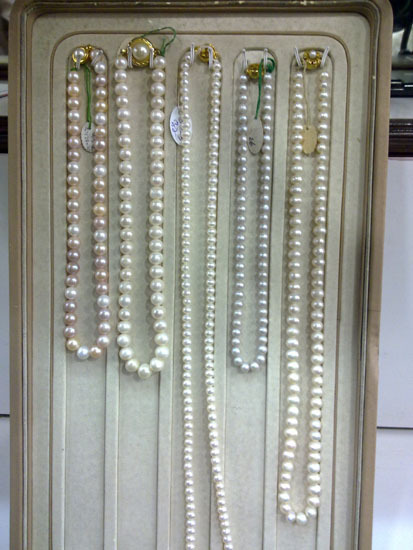 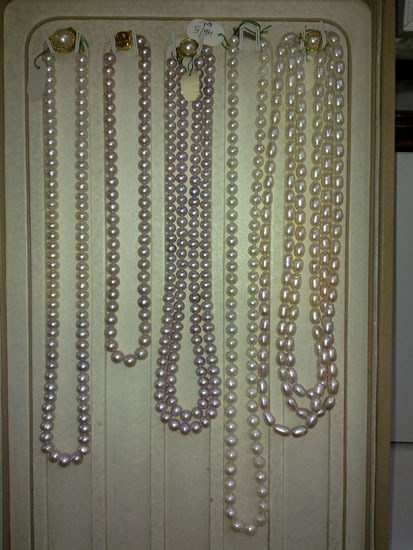 Seven strands of pearls with gold and nine precious gems. 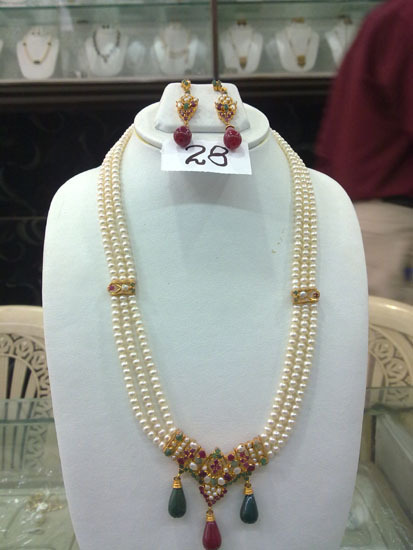 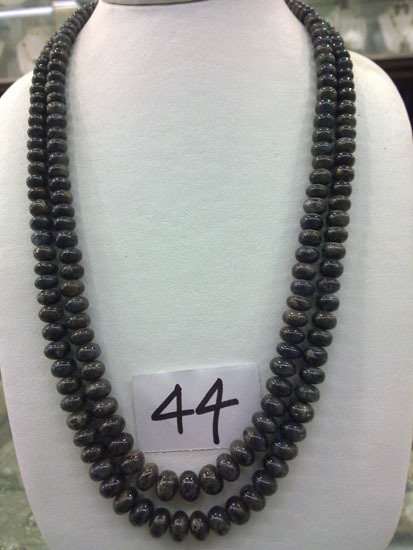 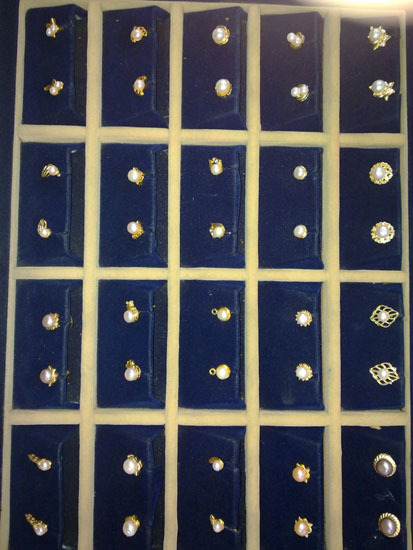 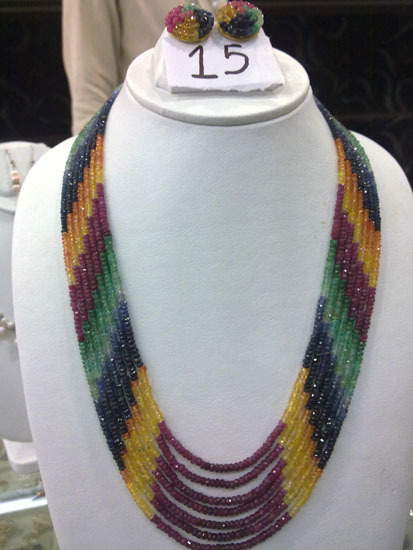 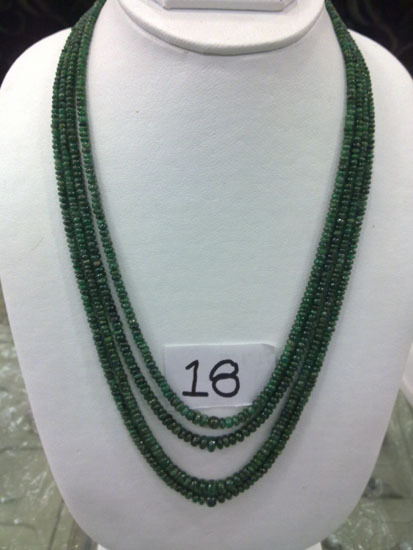 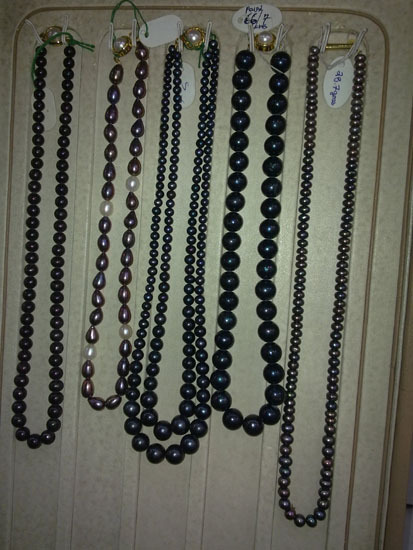 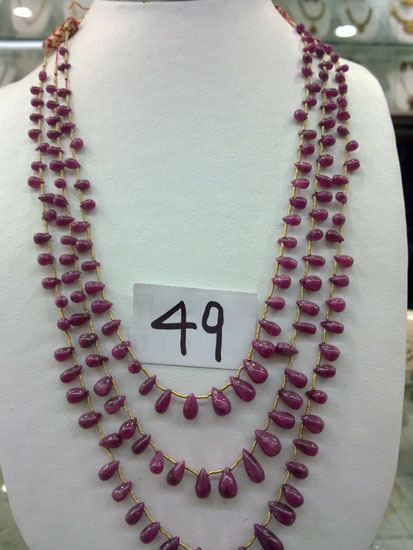 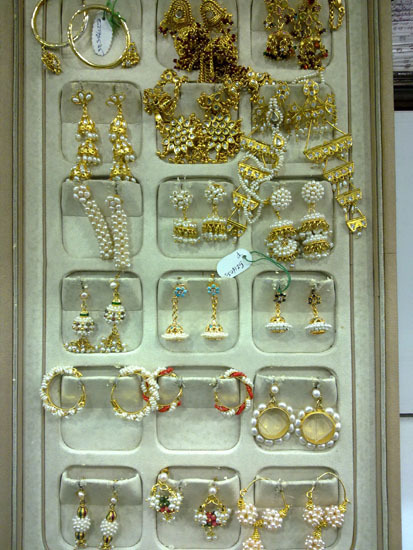 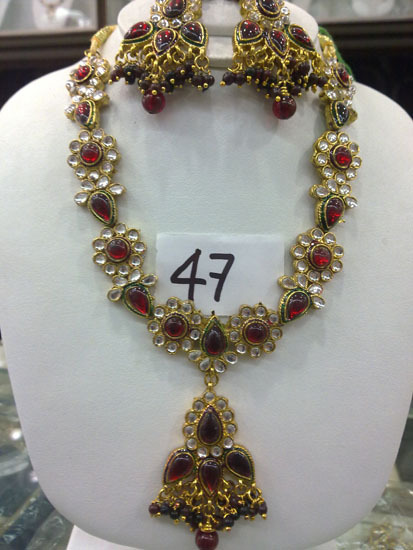 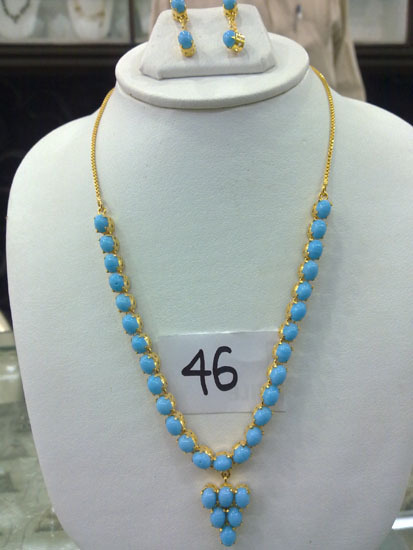 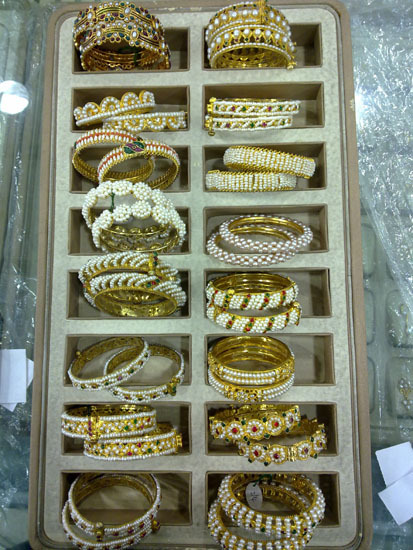 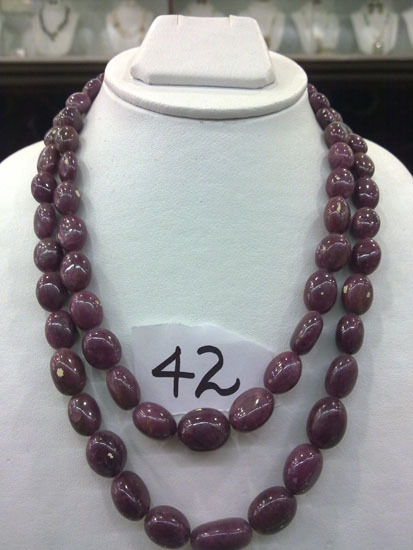 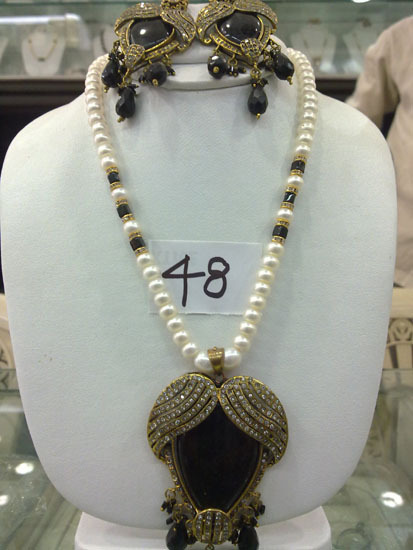 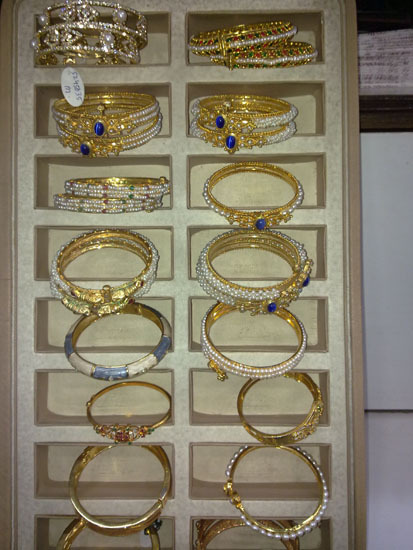 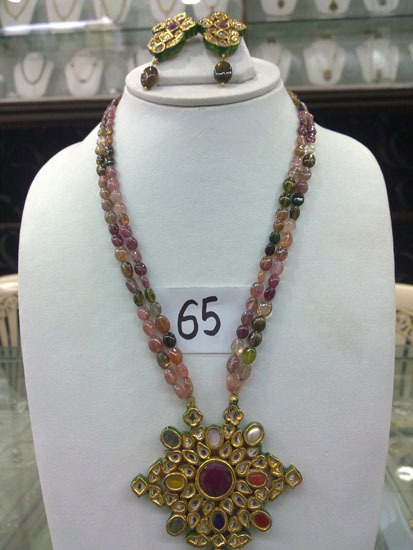 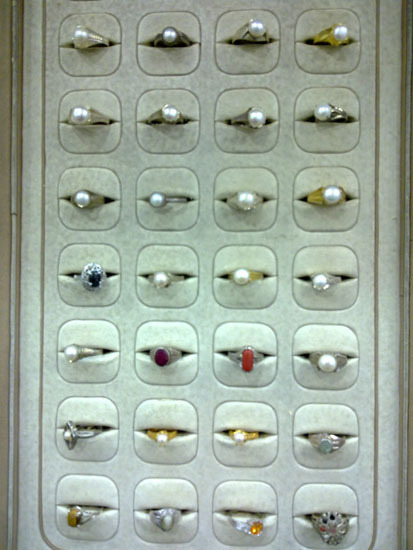 AND ALL SEMI PRECIOUS STONES, GOLD & SILVER JEWELLERY, ANTIQUE JEWELLERY & ORNAMENTS AND OTHERS.